How to outsmart the competition with campaigns in Drip? The results of the annual study conducted by Evergage in 2017 prove: “96% of the respondents believe that personalization helps advance customer relationships and that their prospects and customers expect a personalized experience (88%). Yet, only 45% agree that marketers are getting personalization right”. The old way of thinking seems to be the main reason for such a dissonance. That is the reason why it is crucial to apply personalization to the automated processes. 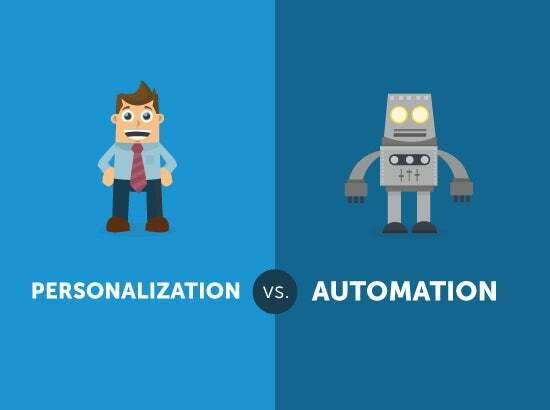 Isn’t personalization a total opposite of automation? You ask. Not necessarily. Actually, those two are sometimes called “The Dynamic Duo.” One complements the other, and they have in common the fact that they base on data – lots of it. The world of today requires this new way of automation. It is used to make your life easier. It enables you to manage various campaigns at one place with the least amount of effort possible. Personalization is key to the success of those campaigns in Drip. How to achieve the perfect combination of both? How to provide tailor-made service? You nned to get as much data as possible from your subscribers. How to do this? The answer is simple – with surveys! What is great is that those surveys may be as automated as any other of your campaigns. Their main purpose is to equip you with data. This helps you continually improve your service and communication with your subscribers. 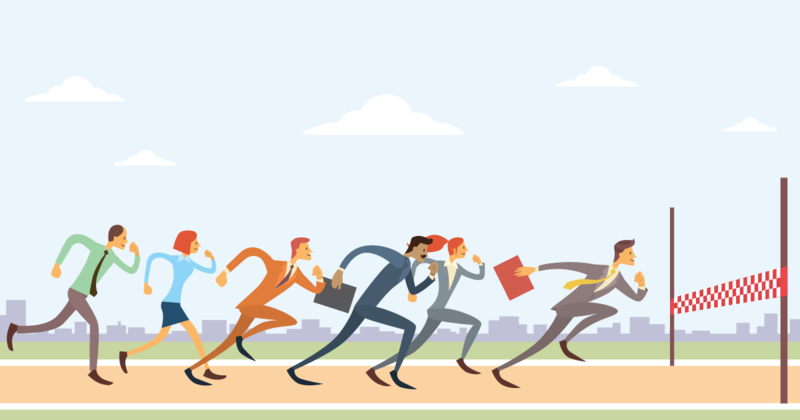 How to outsmart your competition? Instead of settling for the typical, impersonal messages in your campaigns in Drip, get to know your subscribers better. Any data they are ready to share may later result valuable. Is it worth it to spend extra time and effort on surveys to your subscribers? Check out its benefits below and see if they work for you! Drip as a tool allows advanced levels of campaign personalization. To reach them it is vital to understand the mechanisms of Drip automation – Campaigns, Workflows and Rules. You should also know how you may use them to your advantage. Here you can find a very good article on that, prepared by the Drip team. The more data you can gather from your subscribers, the better. Any survey question may be later a custom field in Drip, which enables to create additional workflows. That, in turn, allows to personalize campaigns or add only a specific group of subscribers to them. For example, you can target them to people with the same product preferences, hobbies or interests. In case of the products targeted to professionals, it is great to personalize the emails by the industry. It is especially beneficial to use a single choice question with a list of possibilities. You can also choose the option of a custom field update as a trigger for more specific actions. Besides, you can create workflows for extra actions your subscribers make, like download an ebook or attend a webinar. What is the best thing about this? Once you have all the data gathered, set up the workflows and rules to work in a way that considers the provided data, you get the best of both. The automated campaigns start to run by themselves. The personalization makes it that the subscribers receive the content that is most suitable for their needs. The personalization process has to include at least a basic level of segmentation. It can be either: Customer, subscriber email or other kind of division. It is an inevitable element in the whole mechanism of personalization. In case of automated campaigns in Drip, it usually includes email segmentation along with a definition of general subscriber groups. In their article, Email Segmentation Strategies: 4 Ways to Customize Every Subscriber’s Experience, Drip team presents its ideas for strategies of email segmentation. These are: customizing the campaigns based on the specific service the subscribers use, on their buyer persona or their previous actions, like visiting particular product pages. To gather this data you do not need advanced software. I doesn’t require getting such information from the mobile devices. It is a great idea to ask the subscribers themselves. Here is where the surveys come in handy. Many people are willing to provide such information if it means they will gain something. It also works if the level of the provided service improves or the product gets better. The more data you can get, the higher the level of personalization you can apply to your campaigns. Some you may direct to big companies, other to freelancers. Multi-level subscriber segmentation allows promoting different products to specific target groups. It can also help to predict the possible behavior of the subscribers. Subscriber segmentation based on their buyer persona increases the probability of reaching the target group of your product. For example, you may avoid promoting basic software for the beginners to specialists in the area. This boosts the chance of finalizing the sale. What’s more, this kind of subscriber segmentation allows to evaluate them by their potential income to your company. This is extremely useful as it helps to set your priorities with the campaigns. You can use the criteria of the results you want to achieve. Stop sending all your subscribers one generic newsletter. It will most likely go straight to the SPAM folder. Be different! Focus on personalizing your newsletters. Make them interesting and engaging for their recipients. When it comes to this communication channel, it is not really about what you need to say to them. It’s much more important whether they will be willing to spend some time to open your newsletter and read it. A study by RJI from 2016 compared the open, click, bounce and unsubscribe rates of an editor-curated and personalized newsletter. The results are astounding. With almost 187 thousand impersonal newsletters, their open rate merely surpassed 38%. Their click rate reached only about 4,5%. At the same time, with the personalized newsletter sent to almost 15 thousand subscribers, the open rate was almost 75%. Their click rate was around 14,5%. The automation of the newsletters is crucial. It allows to send them to a large number of the subscribers at the same time. Yet, you cannot forget about the personalization that can be achieved without much effort. The main solution for this is asking for subscribers’ feedback. First, ask them for their general opinion on the received newsletter. Then, allow them to share their ideas for what they would like to read in the future. With campaigns in Drip, you can always create various versions of the newsletter for the specific subscriber groups. It is also important to continually improve the content of the newsletters according to the subscriber’s needs. You can always use multiple response surveys to check if they are happy with what they read. A smiley face scale is beneficial in that regard. You can also check the topics they would like you to focus on in the future. Long gone are the times when the moment of sale was the last moment you dealt with your subscribers (or you thought you did). Now there is a much higher level of the awareness of how the way the companies deal with their customers impacts the success of their undertakings. The studies have shown that it takes 12 positive experiences of the customers to make up for just one unresolved negative experience. It is because people tend to share more negative opinions than the positive ones. It is proved by the results of the American Express Survey from 2011. They show that, on average, the Americans tell 9 people on their positive, but 16 on the negative experiences. That is why companies focus so much on their Net Promoter Score and its impact on the business. NPS surveys’ objective is to gauge the possibility of the customers recommending the product or service to others. It is vital to monitor NPS on a regular basis. It allows you to check if the number of promoters you have overpasses the number of people with negative experience with your product. The solution is to add the Net Promoter Score surveys to the automated campaigns and systematically control their results. They are a perfect indication if what you offer to your subscribers responds to their needs. Maybe it is necessary to implement some changes. What is great is that usually, such action is very quick. It does not require advanced skills and the ultimate results are well worth it. As proved in the examples above, personalization is easy to implement with the automated campaigns. Its benefits far surpass the effort and are very appreciated by the subscribers. You can easily outsmart your competition. Take full advantage of automated campaigns in Drip with Survicate Drip surveys.